Please ignore how awful these pictures are. I know my hair is looking crazy and appearantly all my makeup had worn off, but what do you expect really? 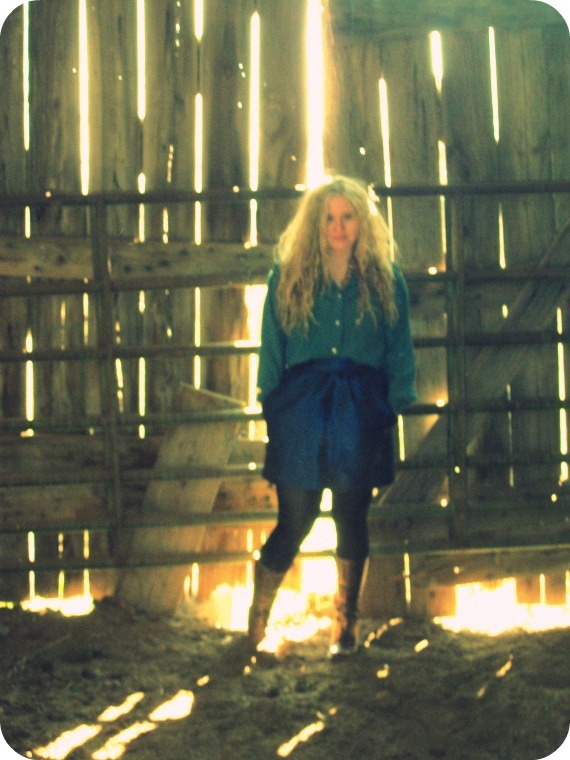 I'm taking pictures in an old barn. Boots:BCBG, Skirt: Charlotte Russe, $5., Western Shirt: Thrifted, $2.50. Peace Mood Ring: Lucky Jeans, $50. I love yours pics and your look!! Yeah your hair looks crazy. Crazy AWESOME! The light in these pictures is beautiful. You should think about increasing the size of your photos so it's easier to enjoy the coolness of them. barn yard chic missy- the lighting is sooo good! And the "crazy hair" just add's to the awesomeness! I love the mood ring! 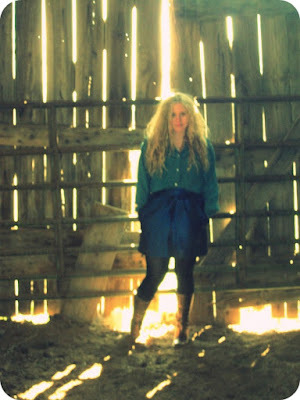 Your hair looks pretty, and I like the lighting in your barn. Your hair always looks so pretty and the pictures are cool with the light shining through the barn siding. These pictures are awesome - no apologies needed! You look adorable. You and your hair both look fabulous. Love the light streaming in. These photos are pretty cool - i love how the light is coming through the spaces in the wood! don't worry a bit dearie, if you hadn't told me, I would have thought the hair was deliberate. The tousle look is in;-) The pictures look beautiful, I love how the light is coming in from the back to create the mood. I agree with LyddieGal, you look cool, like some fashion catalogues photos. I love she and him! really love your peace ring! Hi! 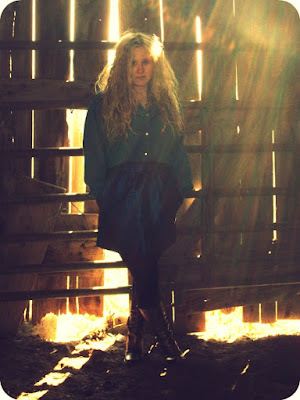 great idea to shoot in an old barn, i like how the light come through - nice outfit this is something i would wear! the way the light falls on you, makes me think of a barn angel. very pretty indeed. I think your hair looks fantastic. Super cute outfit! I love these pictures! The way the sun is coming in is so lovely! Such a lovely post, I like these accessories! Great sense of style! Well, I loved your hair and the flair of the pictures! Your photos are always so artistic! And that cute peace/mood ring? Adorable! I brought some thrifted jewellery with me, so I'm ready to take part today!!! Looking forward to the "challenge"! I think the pictures are gorgeous--I love how the light is shining in! And this mix of shades of blue and brown accessories looks fantastic! love the old barn setting! and the denim on denim looks fabulous! Okay, your barn photos are lovely. Cool light. And your hair looks an amazing mess...in a very good way! Work it!